Since the Switch generation began, Ubisoft has teamed up with Nintendo on a number of occasions. The first time around was for Mario + Rabbids Kingdom Battle and more recently Starlink: Battle for Atlas received exclusive Star Fox content. [Laughs] I can't give you an answer yet." Ubisoft also sent out surveys last October to its email subscribers asking them about their favourite characters in the Mario universe. One page included Mario, Luigi, Yoshi, Wario, Waluigi, Rosalina and Peach, and the other featured Daisy, the Koopalings, Bowser Jr., Birdo, Kamek and Bowser. Would you like to see a sequel to Mario + Rabbids? Have you played Kingdom Battle yet? Tell us down in the comments. I’d be super surprised if a sequel isn’t in the works. He almost makes it sound like an announcement is on the way. E3 perhaps? Now how about getting an Ezio Trilogy on the switch, Ubi? Surely with mr. Kirkhope as the dj? A sequel would be an easy day one buy for me, as the original still stands as one of my favorite Switch games. Anybody who hasn't played this yet and even has a slight interest in strategy games absolutely needs to give this a try (And no, I don't care how much you "hate" the Rabbits). The game goes on sale pretty frequently so it's easy to pick up from the eShop. I never thought I would be wanting a sequel to a game with Rabbids in it, but here we are. Birdos Creed. BEST GAME EVER! After this and Starfox content in Starlink, I'd love to see them make a Sheik to the Retro-futuristic Neo-noir Present. You know, rainy dystopian steampunk cities, flying cars, giant robots, ninja stealth action/hiding in plain sight as the princess, some silent sidekick Hero of Time in a green hat and trench coat, concealing his Hylian crossbow and Master Baton. Climbing buildings, leaping from hovercar to hovercar,... All to uncover and sabotage a huge government conspiracy. I don't know if I want to see that actually (the more I think about it, the more I think I do), but I'm excited to be surprised by the next collaborative project, whatever, whenever. Should it be more Mario+Rabbids, I'd like more opera/musical songs in it. The battle music was truly amazing, so keep that. Really, I think Starlink performed far below Ubisofts expectations, and Mario + Rabbids- which did perform well- has had sales fall off a cliff like hardly any other Mario game before it. Ubi has been mostly burned by partnerships, with only Mario + Rabbids being the exception- and even that was getting panned before people gave it a shot. I just don’t think Ubisoft wants to use resources to bet big on risky projects that don’t star their own IP. Plus -here comes the business talk- I think Ubisoft was only in bed with Nintendo to keep the Vivendi hostile takeover at bay. There were rumors for years that Nintendo was interested in purchasing a percentage of Ubisoft- large enough to stop Vivendi from being a majority holder (thwarting their hostile takeover), but smaller than Ubi’s share so they could remain independent and became Nintendo’s new Rare. Vivendi wouldn’t overstep it’s bounderies in fear of Nintendo swooping in with straight cash to thwart them. However, this was only rumored and possibly just a nuclear option for Ubisoft. Hmmm... what would I want Ubisoft to collaborate with Nintendo next? They look like they handle a proper Star Fox game, which would be pretty cool, especially if multiplayer is involved. But I think I’d like to see something a little more left field, like Mario+Rabbids. 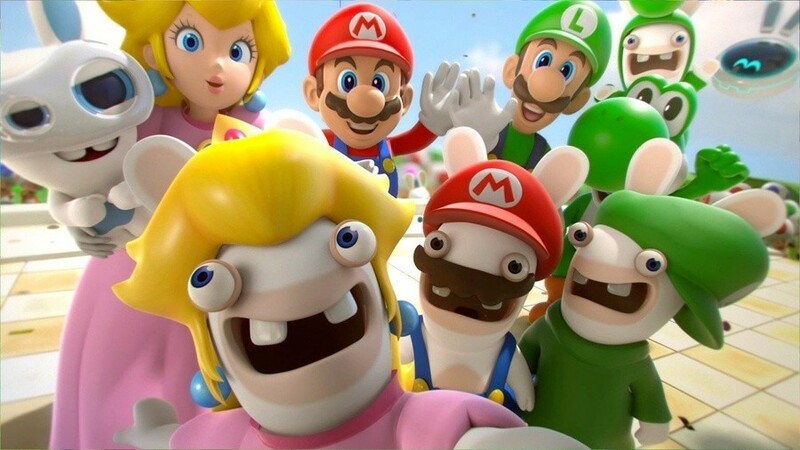 The only question is whether Mario + Rabbids 2 is a 2019 or 2020 game. I want to see the same type of game as M+R but set in the Zelda Universe. Zelda: Hyrule Kingdom Battle. It can even include the Rabbids. But a strategy shooter where you play as a team including Link, the Champions (or champion-like), fight with swords, bows and arrows, bombs, hook shots and magic. I would love it to look similar to the art for Link to the Past. Why be stuck with just MARIO in this style of game. Let’s diversify with Zelda too! Mario + Rabbids has continued to perform very well throughout 2018 and even 2019 - Mario Day gave it a strong sales push just last month. Of course, it isnt selling like Mario Kart 8 or Mario Odyssey, but that was a given. And Starlink failed because it was a Toys-to-Life game in a post Toys-to-Life market, not because it had StarFox content. In fact, the Star fox collab is probably the only reason why the game actually sold any copies at all. @ItsOKToBeOK To be honest, I never buy Ubisoft games because I'm always waiting for an even bigger discount. It's rediculous how they undervalue their games, especially great stuff like Mario + Rabbids. They only reason I got that (for 50% off!) because I needed filler for my christmas wish list. @Baart Pretty much all games except 1st party Nintendo titles are like that. It's a race to the bottom, who can discount their games the Steam sale way the fastest. I hope we get a sequel. 2020 Summer release would be nice what with so much coming out this year. Yes please. Davide Soliani has fantastic team and passion. Still my favorite exclusive on the system. I'd buy a sequel in a heartbeat. It's still my favorite Switch game, but it was so well done I don't know how a sequel could match it. The DLC was certainly a step down already. 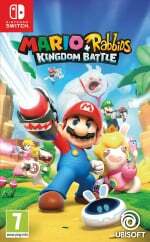 @ItsOKToBeOK Mario and Rabbids was the best selling 3rd party game. Not sure if it still is, but selling over 2 million copies is pretty good!! The first was the reason I bought my Switch..such an awesome game!I'll buy another Switch if you make another sequel..
Actually no,I'll just buy the game. ...How about fixing the bugs and problems of the first game? Ran into graphical glitches and crashes...it's annoying. I need Daisy and Daisy amiibo support! I'd love to see Daisy and Rabbid Daisy make an appearance in a sequel. More playable in general would be welcome. This game was such a huge surprise for me. I remember going from "Rabbids and Mario? You're joking, right?" to "I want a sequel with more characters!" I feel like I’m the only person that didn’t care for this game. I just didn’t find it fun. Graphics were beautiful, though. I loved M+R. I wasn’t a fan of having to walk from one challenge to the next, and the puzzles slowed the game down, but the core of the game was awesome. The Kong DLC was a waste though - your characters were just too powerful. I’d definitely be in for a sequel though! On of the best games over on Switch. Instant buy when this will come out. An online multiplayer function would make this one of the best games on switch to date! Can you make Mario + Rabbids but about troopers fighting aliens? Surely it's a done deal.